Which is how he found himself at the 11th hour, literally about to head out the door for his flight, calling Jerry Dipoto to tell Seattle’s general manager that he was retiring from baseball. Dipoto didn’t answer, so he called Andy McKay, the Mariners director of player development. McKay didn’t pick up either, but he did text back. “Just wanted to call and let you and the organization know that I’ve decided to retire from playing and transition into a new chapter in my life,” Whalen explained over text. “This decision has been weighing on me heavily the last little while but I know that my heart is in a different place.” He thanked them for the opportunity to play baseball and for “dealing with a lot of my b.s. Rob Whalen was drafted in the 12th round out of high school in 2012 by the New York Mets. After multiple knee injuries and a trade to the Atlanta Braves, everything started to click in 2016. He posted a 2.49 ERA in Double-A, pitched well during a brief stint at Triple-A, and got promoted for his major league debut at 22 years old — a moment that should have been the happiest of his life. Prior to the 2017 season, Whalen was traded to the Mariners. That offseason, he struggled to get out of bed and started the year in Triple-A feeling out of shape and unmotivated. Talking to the team’s mental skills coach helped a little, but Whalen was battling more than on-field jitters. The anxiety — the nights before his starts spent in a cold sweat, running scenarios of everything that could go wrong on the mound — started to consume him, and soon the catastrophizing spread beyond baseball. According to Whalen, McKay offered him a week off to deal with his anxiety, but after just a few days, Whalen received a text message from McKay explaining that he would be replaced on the roster if he didn’t return to the team immediately. The Mariners declined to make anyone available for an interview. A few weeks later, after struggling through several disappointing starts, Whalen gave up five runs in five innings in Reno and something snapped. After he got pulled from the game, he packed up his locker, returned to the hotel, and booked a flight home for the following morning. Together with his therapist, Whalen decided not to take anti-anxiety medication, in part because he was concerned about MLB’s restrictions on prescription drugs and the process of applying for an exemption. After months of therapy and reconnecting with his church, Whalen was feeling better, and 20 pounds lighter, when he reported to camp in 2018. That spring, he started talking publicly about his struggle with anxiety, and so did the Mariners. "I'm probably as proud of him as I am of any of our players," manager Scott Servais said in February 2018. “He stepped back and made some adjustments, not just physically, but mentally. It's nice to see the smile back on his face." That was his last major league appearance. Three days later, he was sent back to Triple-A. Those public comments still gnaw at Whalen because it certainly hadn’t felt like the Mariners wrapped their arms around him. It felt like baseball didn’t care, and beyond that, like he’d compromised his career by seeking help. After leaving a road trip early to return to Tacoma to address his anxiety, he was demoted to Double-A for the remainder of the 2018 season. 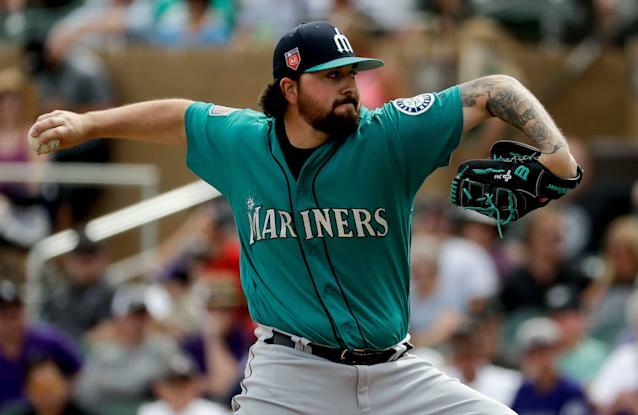 Maybe that’s just baseball — he’d spent three weeks on the DL earlier that season with shoulder discomfort and had posted a 5.16 ERA in 20 starts for Tacoma — but to Whalen, it seemed like the Mariners were saying that he wasn’t welcome in the game. 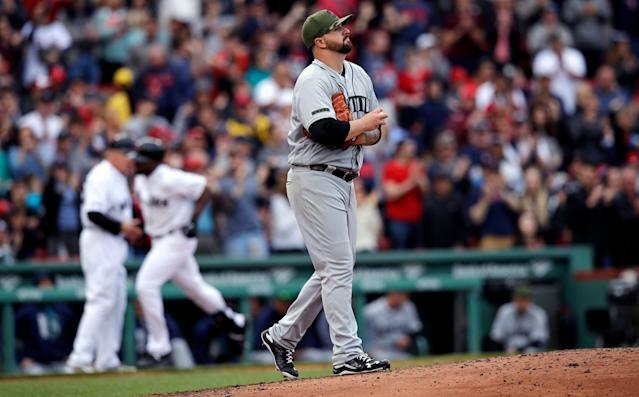 “I just thought I was very open and vulnerable with a lot of people in that organization the last two years, and in some ways I felt like that was used against me,” Whalen said. Whalen is doing better these days. He spent a few weeks staying with his old travel ball coach in Pennsylvania, helping around the house and coaching youth baseball. He wants to get his degree back in the Orlando area. There’s scholarship money that MLB set aside when he signed out of high school that he can use, but he’ll be looking for online classes that he can complete while holding down a job — after all, there are still bills to be paid. And now that he’s not playing competitively, Whalen and his therapist are going to reopen the conversation about prescription medication. Mike Majarma, a former player in the Mariners’ system who was also open about his mental health struggles before retiring out of Triple-A and who overlapped with Whalen in the minors, agreed. He didn’t have the same litany of grievances and insisted the Mariners front offices as he knew it was well-intentioned. But asked if they handle mental health issues well, he was unequivocal. “They don’t,” he said. “I don't think they knew how to handle it,” noting that it was an industry-wide problem. Ultimately, there’s no smoking gun toprove whether or not an organization sufficiently cares about the well-being of its players — or even whether it acted like a caring organization for the sake of getting an appreciable return on its investment.Whalen’s feelings of mistreatment aren’t enough to indict the Mariners, either as an organization or on an individual level. And yet, they’re all that really matters here. If we take as a given that a certain segment of the professional baseball playing population struggles with serious mental health issues, then it’s worth listening when one of them says the recourse in place for those people is an alienating experience and that remaining in the system is incompatible with getting healthy. That societal stigma makes it difficult for anyone to speak up when they’re struggling — especially in a hyper-masculine environment, especially in an industry where your market value is tied to your perceived health. And the best thing baseball can do, as a cultural force and as a vast employer of hundreds of young men who spend their early adult years completely engulfed in the system, is ensure that when guys do open about mental health issues, that they don’t fall through the cracks.